After I read Born to Run, I was inspired to do a lot more barefoot running. It was the same year that I opened Barefoot Rehab, a Sports Therapy and Chronic Pain Resolution practice. Boy, did it feel wonderful and free to run in my Vibrams! That freedom only lasted so long. In less than a year of running minimally, I had severe right ankle pain that stopped me from even walking, pain-free, for years! It wasn’t until I started wearing Sole Supports orthotics, the best orthotic on the market, that I started recovering from my ankle injury. If you stand or walk alot throughout the day, you could benefit from orthotics. If you have poor alignment of the tibia and 2nd metatarsal, you need orthotics. Below is the actual alignment of my feet. Ideally, my tibia would be 180 degrees with my 2nd metatarsal (which is the 2nd toe). If your bones are aligned in this way, you’re bone structure is in good shape. My left leg shows mildly poor alignment as evidenced by the less than 180 degree angle. My right leg shows very poor alignment as evidenced by the more acute angle. Side-note: Notice my large, fat collapsed arches. I’ll point out why Sole Supports is especially important for fat arches below. 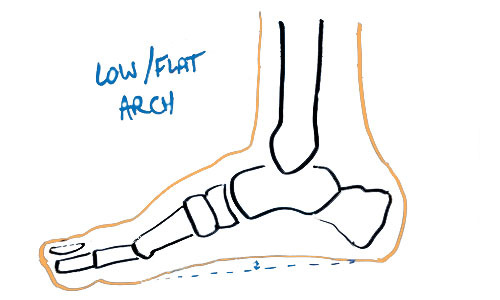 If you have collapsed arches and poor tibia-2nd metatarsal alignment, alignment takes priority over arch collapse. Sole Supports is a customized orthotic and the best orthotic on the market. It has 3 unique variables unlike any other orthotic. It’s calibrated to your body weight. It’s calibrated to your foot flexibility. It’s casted in a high arch position, seated. This comes directly from Sole Supports Website. Some individuals are extremely flexible. Kids tend to have healthier muscles, which makes them able to put their joints into quite vulnerable positions. Women who do yoga are just bendy. When a woman becomes pregnant, her joints loosen as her pelvis prepares to pass a living being through her birth canal, making her even bendier (I made that word up). Many men are really stiff. Provide stability to a joint that moves too much. Provide mobility to a joint that moves too little. Sole Supports orthotics are customized to the flexibility of each individual foot. Sole Supports orthotics are casted while sitting, with your arch as high as possible. When you walk, there are phases of the movement that change the mechanics of body parts. During those phases, your arch moves from a high-arch position to a low-arch position. 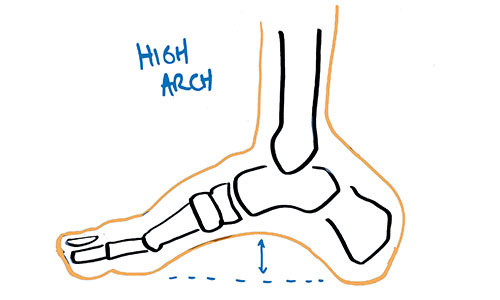 Right before your heel hits the ground, your arch is as high as it can possibly be. As the heel makes contact with the ground, backed by your body weight, the arch starts to flatten as your toes touch the ground. The arch is fully flattened as you push off of that big toe to lift your foot off the ground. Without orthotic support or with a low-arch orthotic (casted while standing on your body weight, dropping your arches), your muscles, ligaments, and tendons “cushion the blow” of this impact. With a high-arch orthotic, your muscles, ligaments, and tendons work significantly less because the orthotic will “cushion the blow” of your body weight as you bring your other leg through and take your next step. A few months ago, I treated patients barefoot for the entire day. Around 4:00 PM, I noticed tension in both of my calves and low back pain. It increased in intensity by the time I finished seeing patients around 7:00 PM. On any other day, when I’m wearing my orthotics, I don’t have calf or low back pain. The best orthotics are a strategy to minimizing stress to the joints and muscles of the feet, knees, hips, and low back. 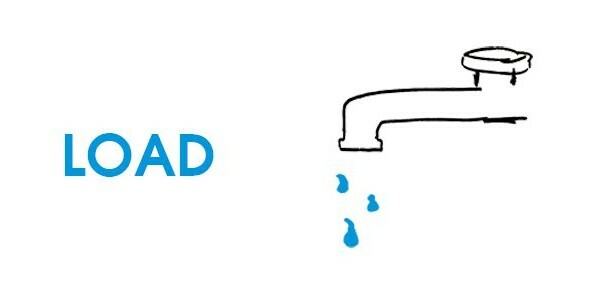 For those of you familiar with load and capacity, orthotics cause the load faucet to be on at a slower rate than not wearing them. If you have any type of foot, ankle, knee, or low back pain, orthotics can delay the onset of when you experience pain on a daily basis. If you don’t have pain, wearing orthotics when you’re on your feet alot on a daily basis can prevent the degeneration (wear-and-tear) of every joint below your thoracic spine (where your rib cage is). Wherever you live, you can get yourself the best orthotics around by searching the Sole Supports Find A Provider resource. If you live in North Jersey and you want to use your in-network insurance benefits to get orthotics to manage your calf and foot stresses, go to The Spine and Rehab Group in Riverdale, NJ. Ask for Beth. If you live in North Jersey or New York and have plantar fasciitis, plantar fasciosis, achilles tendinosis, shin splints, bunions, ankle impingement, or ankle pain or foot pain of any kind, give us a call at Barefoot Rehab. Click to call the Barefoot Rehab Parsippany office. Click to call the Barefoot Rehab New York office. Our doctors would be more than happy to consult with you about your pain to see if orthotics can help it alone, or if you need more care to get rid of that stubborn pain. Got orthotics? 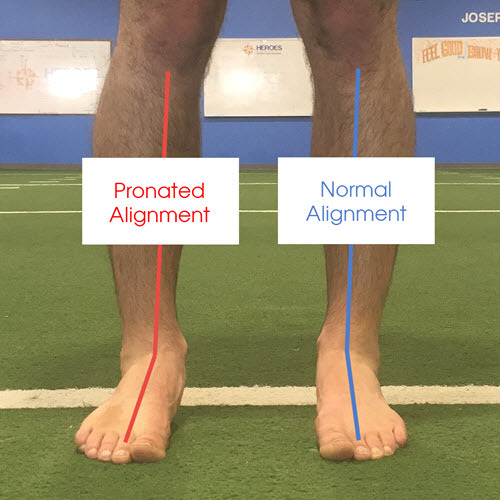 How have they changed your feet, knee, hip, or low back mechanics, if at all? Share your thoughts or comments below.